In a full biohazard suite, behind self-closing doors and working in potentially contaminated areas with some of the world's most deadly virus strains, Judy Neff found herself bored. But, leave it to beer to make life more interesting. Judy first moved to Baltimore to earn her PhD. at John's Hopkins in Microbiology, and a Post-Doctorate at the National Institute of Health studying influenza. After years working to help keep hospitals sterile and safe, she found a passion for the science behind brewing beer. Judy laughed, "It started as a fun little hobby, and it blew up, and got crazy. I had been getting more and more into beer, and more and more into the craft beer community and I decided my current career avenue wasn't for me ... I made that leap to join the craft beer industry." So began Judy's path toward becoming one of the first and foremost female brewers in the state of Maryland. About six years ago Judy helped start Baltimore Beer Babes as a chapter of Barley's Angels with Erin Tyler, Chris Anderson, and Lisa Lawson. The women-only group helps bring more women into a male-dominated realm to enjoy good craft beers. As Judy puts it, "Most members are not in the industry and most of them are not home brewers. Just craft beer drinkers." Judy humbly acknowledged that she is not the only trailblazing woman in the industry, but she may be one of the few – if not the only – female owner and brewer in the state. Either way, she's in a league of her own; or at least a league of very few. "Most people who don't know me assume it's the guys here at the brewery that are brewing..." Judy pointed out that sometimes people suppose she only involves herself with sales and marketing. "...So it's fun to surprise people. I think it'll start to become a little more common. More and more women are getting into craft beer and into craft beer as a profession. But it is fun to be on the forefront." The people within the industry are not quick to make assumptions, "Every male brewer I've ever talked to or met does not assume that I'm on the sales/marketing side of things, and nobody treats me any different. It's everyone else who's surprised." Steve Marsh (Judy and Rob Neff's partner) was involved with the cask beer program at Heavy Seas around 2009 when they met and learned of eachothers interest in a potential small scale brewing project. Through connections like Heavy Seas and the Baltimore Beer Babes, the team already had a foundation with the local brewing community. "Everyone in the industry is supportive. Helping us get started, inviting us to go around and see different systems, and see how each different brewer is brewing their own beer. That's been amazingly helpful." Rob Neff, Judy's husband, "brings the entrepreneurial spirit" as Judy puts it. Rob began his career as an engineer. For over a decade he's worked to rehabilitate dilapidated historic and iconic homes in Baltimore city through the group he started, Neff Rehabs. Judy says that Checkerspot's goal is to open the taproom in the spring for production, with a plan to can limited releases with River City Cannery. Staying local and working in the community is a hallmark of their pasts and a pillar of the plan for the future. The name of the brewery gives a tip-of-the-cap to the state and the Maryland Checkerspot butterfly; the Maryland State Insect since 1973. The Checkerspot only uses the White Turtlehead as a host plant to lay eggs, which later hatch into orange and black caterpillars. The caterpillar's cocoon breaks open, revealing an orange and black butterfly. Fitting for a city that loves it's orange and black. Judy commented, "It really embodies what we're going for. We have a deep respect for nature and where the ingredients come from. It's something that's really important to all three of us and we feel we're a special intersection of local nature and the city where the beer is made." The two floor taproom, located at 175 West Ostend Street, overlooks the brand-new brewery and will have at least eight taps and one cask at all times, a small food menu, and plans for live music events. "It'll be primarily an on-site [venture] with some external distribution and that will grow as we grow." Judy and the Checkerspot team bring local passion with a nod to the future of brewing as Maryland breaks into 2018 and what is sure to be a year of growth for the local craft beer industry. One place you'd most like to travel to eat or drink? "Since you said eat or drink, France and Italy ... respectively." Another career you'd rather pursue? "I did already make that decision. I finally figured out what I wanted to do when I grow up." Click Here to check out the article as it appeared in The Journal. Doug is a graduate of Albright College with a Bachelor of Arts in both Psychology as well as Sociology. 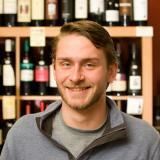 He is also a talented bartender/server and enjoys writing about the licensed beverage industry. Let us know and we'll get it right to you! © Copyright 2017 Beverage Journal, Inc.